My students have to read nonfiction books. Then they have to write a creative story integrating the topic into the story. For example, Topic: Grand Canyon… so the setting is in the Grand Canyon. Tell a creative story and use some facts about what you read in the story. 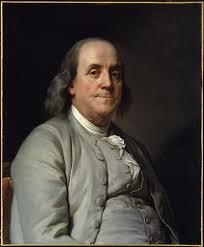 Story Summary – “Benjamin Franklin is a very naughty boy.” (Whoa good start) He often gets into trouble for buying games without his parents permission. He tries to fight the biggest guy in school and loses, so of course they become best friends. Oscar, the big guy, wants to kill everyone at school except himself and Ben. So they build a bomb. But the teacher sees it and gets rid of it (somehow). The next day, she puts sleeping medicine in their lunch and slits their throats. Also… this book is not recommended by K because it is boring and Benjamin Franklin looks boring. Story Summary – The air goes on an adventure around the world and sees cool sights. Being the air, it goes for free and flies around the world. It also manages to switch the time on Big Ben and confuse people until the top of the tower hits it and it gets hurt. Then it breaks off the nose of the Sphinx in Egypt. It is hurt again because “those rocks are really big.” So it goes home and tells of its adventures to its friend, the air (same name, no relation), and they decide to do it all over again even though it is dangerous to travel. Story Summary – A racer buys an expensive motorbike and wants to race another racer. So the racer sees the other racer’s bike and is nervous because one bike goes 305 km/h and the other goes 306 km/h. HUGE difference. So number 03 and number 04 race and number 04 is winning until number 03 comes through and wins.